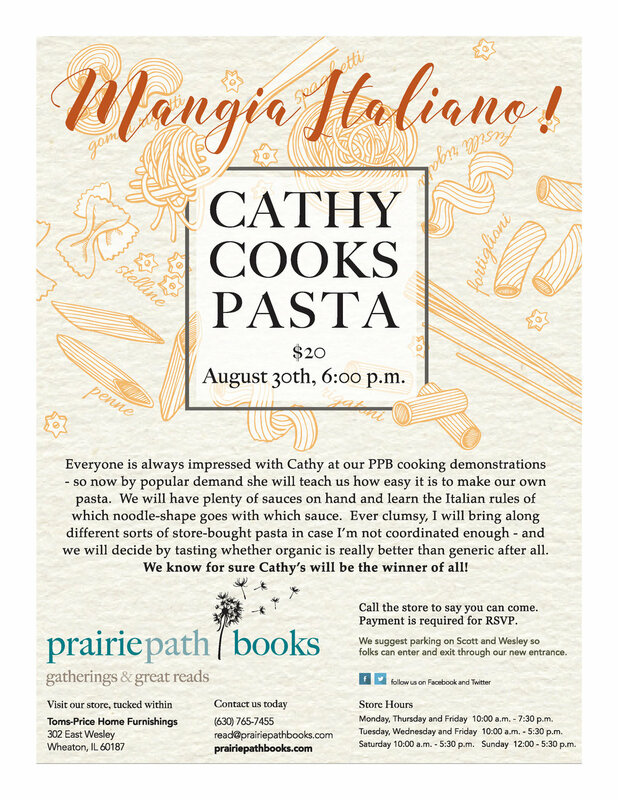 Everyone is always impressed with Cathy at our PPB cooking demonstrations - so now by popular demand she will teach us how easy it is to make our own pasta. We will have plenty of sauces on hand and learn the Italian rules of which noodle-shape goes with which sauce. Ever clumsy, I will bring along different sorts of store-bought pasta in case I’m not coordinated enough - and we will decide by tasting whether organic is really better than generic after all. We know for sure Cathy’s will be the winner of all! Call the store to say you can come, (630) 765-7455! Payment is required for RSVP.